The Willow Glen neighborhood was once an incorporated city in its own right although today it is a distinctive and appealing neighborhood in San Jose California. Willow Glen is located three miles southwest of downtown San Jose and is bordered by the Guadalupe River, the Los Gatos Creek and Coe and Curtner Avenue. Willow Glen borders Blossom Valley, Cambrian Park, the City of Campbell and other neighboring San Jose communities. Willow Glen feels like a small town with its own main street. Lincoln Avenue is surrounded by tree-lined neighborhoods of architecturally distinctive single family homes, many of them Spanish-style homes built in the 1920s and 1930s. The Lincoln Avenue downtown business district located between Coe and Minnesota is lined with sidewalk cafes, Italian delis, home design stores and clothing boutiques. Although Starbucks, Peets, Noah’s Bagels and others have established outposts to mine Willow Glen’s lucrative demographics, most Lincoln Avenue stores are still owner-operated retail businesses. Gentrification transformed Willow Glen in the 1990s yet it remains a diverse community today contributing to the rich tapestry of a quiet, enjoyable and very livable San Jose community. 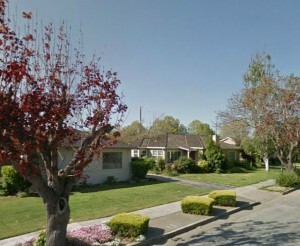 Willow Glen is a great place to live in San Jose, California! Feel free to search Willow Glen Homes for Sale. I’m ready to answer all your questions and go to work in finding you the perfect Willow Glen home.